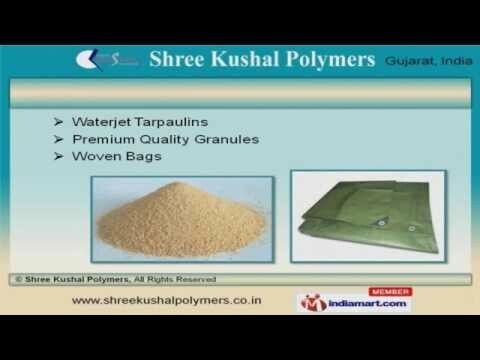 Welcome to Shree Kushal Polymers, Manufacturer and Exporter of Tarpaulin Products. The company was established in 2008 at Ahmedabad. We cater to Textile, Shipping, Agro and other industries. JMC Project India Private Limited and Krishna Poly Packs are some of our prestigious clients and we are backed by customized solutions and free sampling policy. We offer a wide array of Poly Tarpaulins, LLDPE Sheets and Covers. Woven Fabrics, LDPE Bags and HDPE Tents are extremely reliable. Our Waterjet Tarpaulins, Premium Quality Granules and Woven Bags are widely acclaimed in the market. We also provide Waterproof, Industrial Tarpaulin and Plastic Tarpaulin Sheet Covers that are in huge demand across the global markets. Our Construction Tarpaulin and Tarpaulin Covers for Chemical industries are a class apart. DPE Sheets for Packaging and Waterproof Tarpaulins for Automobile Industries are available at industry leading prices.